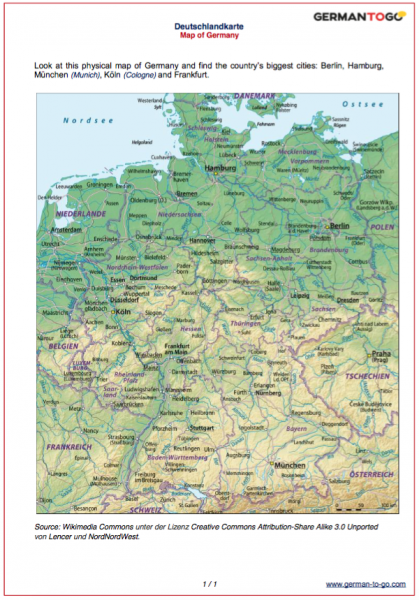 As a quick introduction, please have a look at the map of Germany. Can you locate the country's biggest cities? Find: Berlin, Hamburg, München (Munich), Köln (Cologne) and Frankfurt am Main.